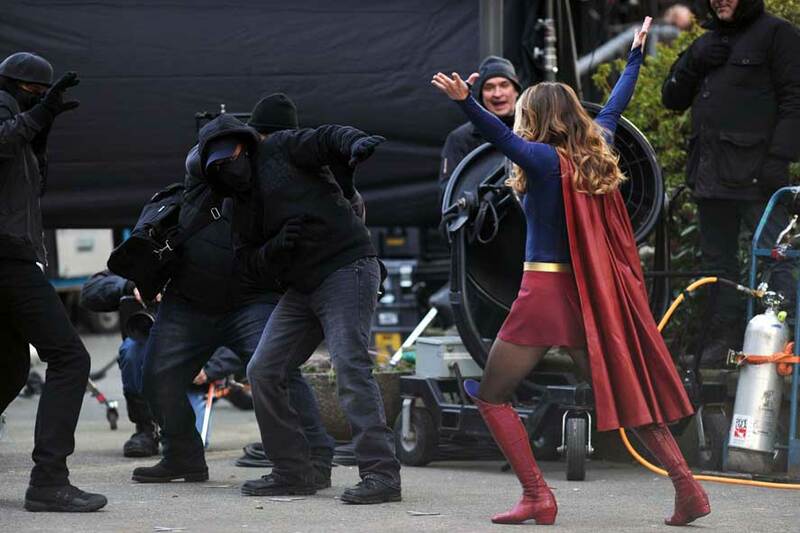 Supergirl was back to fighting crime and even dancing on set! 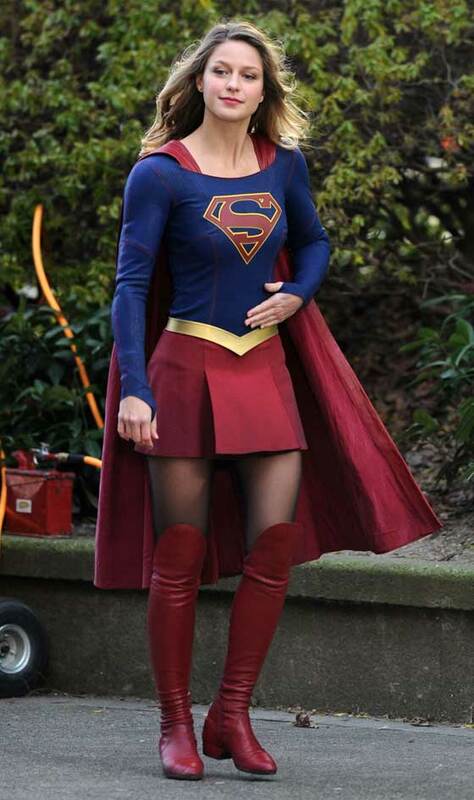 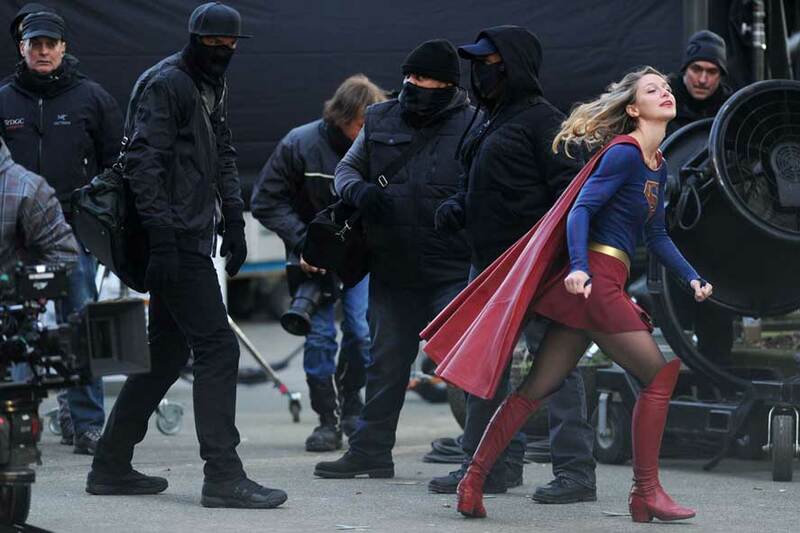 Melissa Benoist looked overjoyed to be back to work when she was pictured leaping around the Supergirl set in Vancouver, Canada. 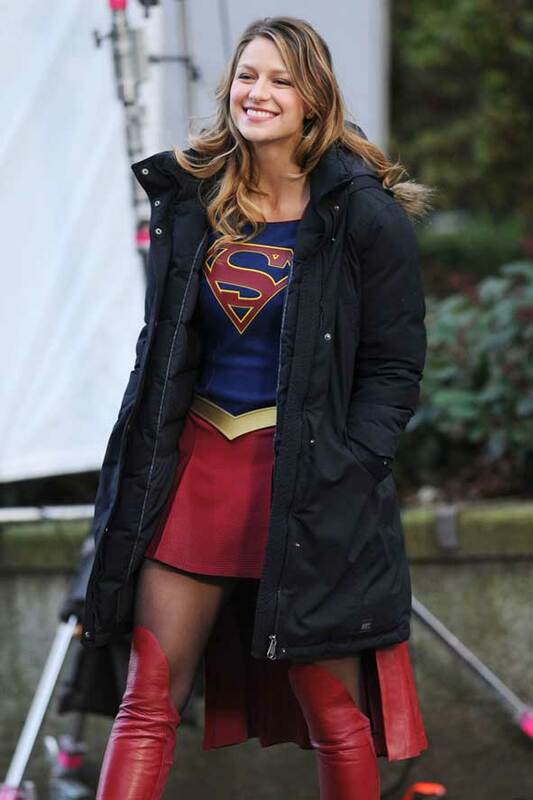 Melissa wore her red iconic and revealing Supergirl outfit and kept warm in-between scenes wearing a big winter jacket in the freezing temperatures as they filmed on location. 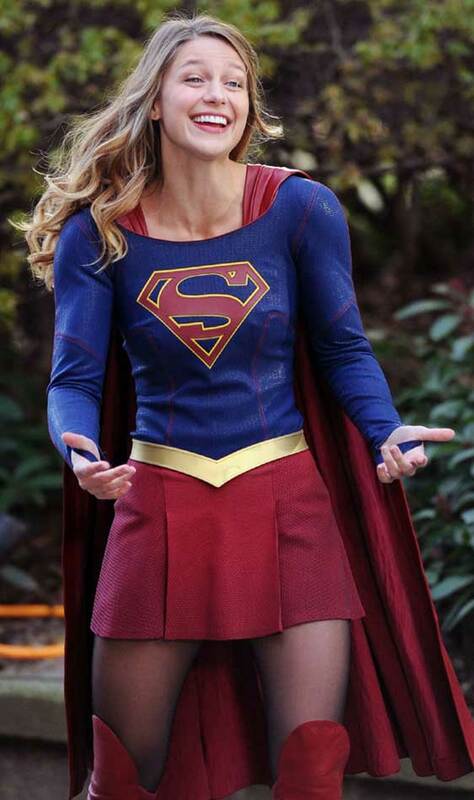 The 28-year-old ended her three-year-marriage to her former Glee co-star in December 2016, but she appeared thrilled to be back in costume. 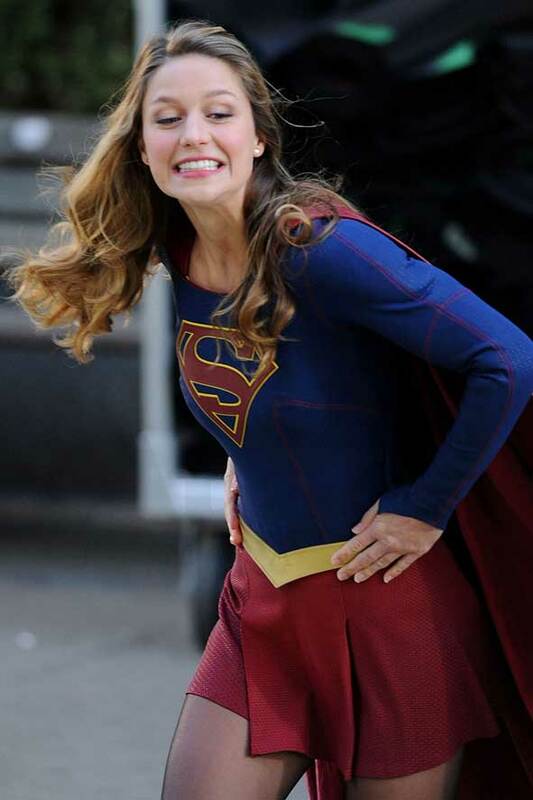 Melissa, who even starred in a couple of Supergirl episodes with her soon-to-be ex-hubby, cited “irreconcilable differences” on her divorce papers. 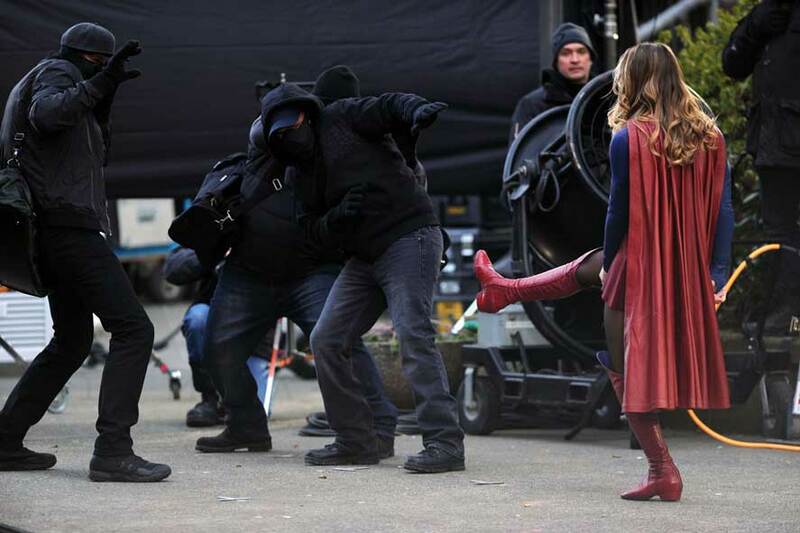 Melissa was a real-life hero when she caught hold of her assistant who slipped as she arrived to apply make-up to the actress. 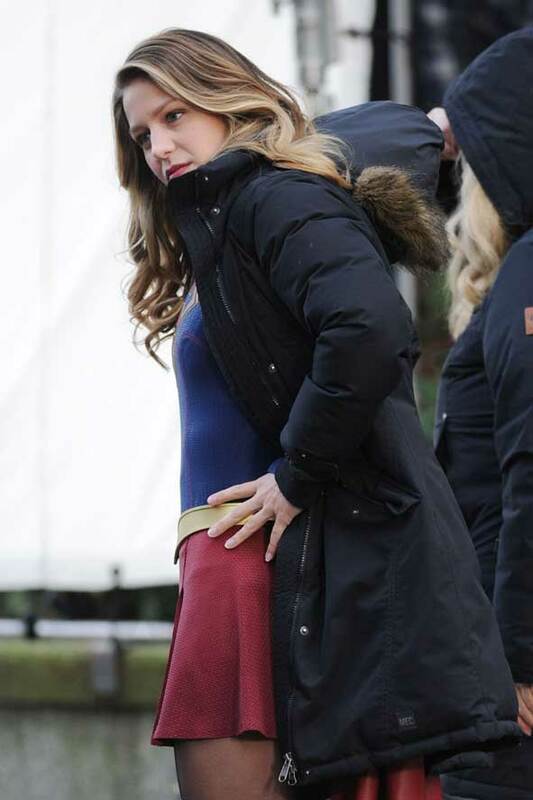 PICS: Supergirl Returns for Season 3 And Gives The Heart Sign To Her Crew! 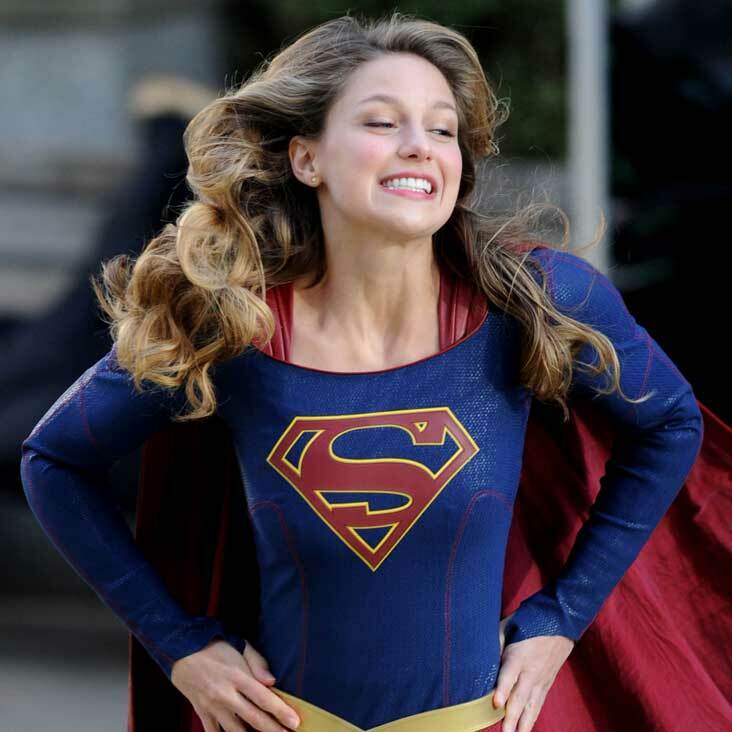 Melissa Benoist Trivia: Melissa Benoist was born in Littleton, Colorado and rose to fame playing Marley Rose in the Fox musical comedy-drama television series Glee.